Historical half day walking tour that enables you to connect to the history of Recoleta in a way you will never forget! You will never find a better Recoleta tour than this one in Buenos Aires. Be ready for a half day walking tour of the Recoleta Cemetery and listen to stories very few know about!! 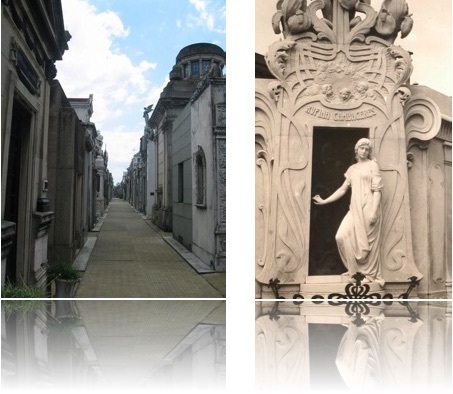 Incredible and unheard of historical tour that enables you to connect to the history of the Recoleta neighborhood and to Buenos Aires in a way you will never forget! Listen to true and amazing stories of murders, famous actors/actresses, war secrets, monarchies, and many more. Followed by the Alvear circuit and KGB secrets! The Recoleta Cemetery’s status as a tourist attraction is rivaled by few; some compare it to Père Lachaise in Paris. It was designed by Prospero Catelin of France, following a proposal by Bernardino Rivadavia, and opened in 1822 as a public cemetery for ordinary citizens. The Cemetery includes graves of some of the most influential and important persons of Argentina, including several presidents, scientists, and wealthy characters. Internationally, Eva Peron is the best known person buried in this cemetery. •Tour departs on Thursdays at 2 p.m.
•Sightseeing tours of the Recoleta neighborhood, Recoleta Cemetery, the Alvear circuit, the Russian Embassy. 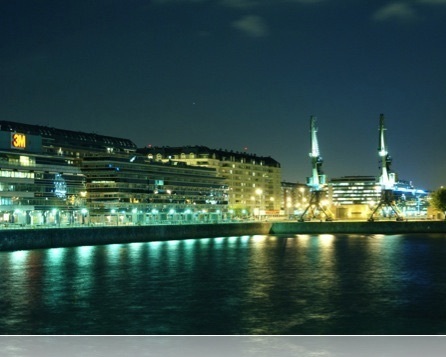 •Tour the Alvear circuit and learn about the architecture of Buenos Aires. •Over 13 years were spent in the gathering of this historical pieces. All the stories you will hear are documented and true. los Recoletos Descalzos (The Monastery of Barefoot Franciscan Recoleto Monks). Recoleta is part of the area known as Barrio Norte, together with the neighboring barrios of Retiro, Palermo and the northern part of Balvanera. Like its neighbours, Recoleta is an affluent residential district, initially populated by citizens escaping the 1871 yellow fever epidemic. Recoleta is one of the most expensive neighbourhoods to reside in Buenos Aires, both in terms of real estate and of the cost of living. 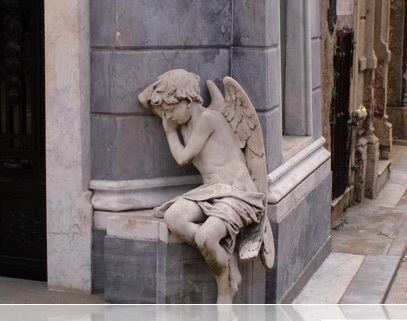 Even dying here is costly, as a mausoleum in the Recoleta cemetery is of great expense. The neighbourhood has been referred to as the Paris of the Americas, many Fin de Siècle French-style palaces and villas were built in the area, especially on Avenida Alvear with its sophisticated restaurants, up-scale shopping and mansions built by the affluent families of Buenos Aires, (today some used as embassies), and one of America’s most luxurious hotels, the grand five-star Alvear Palace Hotel, Four Seasons Hotel. Confitería La Biela is one of the city’s most famous cafés and is patronized by authors, politicians, and other celebrities. On the square facing the cemetery is an enormous rubber tree; its huge tentacle-like lower branches cast a shade over La Biela’s popular terrace. Known as the Gran Gomero, it was planted in 1878 and is 50 metres wide. Nightlife is also very active and trendy, with the R.M. Ortíz pedestrian passage (Recoleta Village) known for its outdoor dining, pubs and cinemas. Photographic material and stories are copyright and exclusive use of Moobal S.A. Some photographic material is copyright Target Latino, Inc.